Community colleges afford higher education at a lower cost than four-year schools. Students may travel this educational path to remain close to home and to learn job skills. 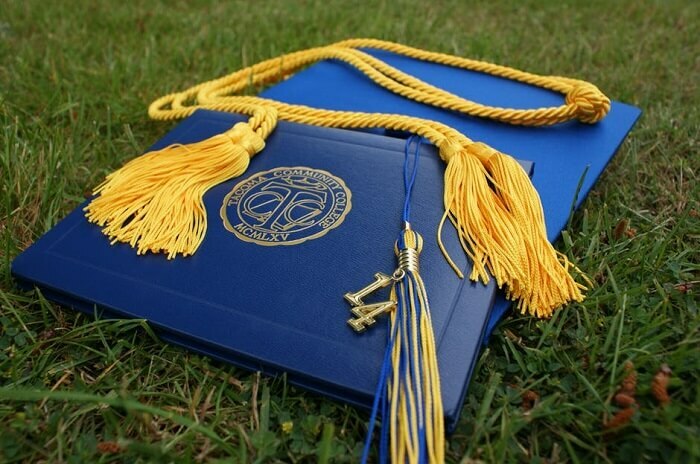 As the following list of the best paying jobs with associates degree reveals, the two-year plan for higher education can equip students with the skills for well-paying jobs. Many of these jobs can also afford as much or more pay than those that call for a bachelor’s degree from a four-year university or college. In deciding which jobs to profile, we drew from pay figures and other information from the U.S. Bureau of Labor Statistics. Among our best paying jobs with an associates degree, the web developer occupation stands as one of the fastest growing as well. The 27-percent projected rise through 2026 testifies to the prevalence of computers, tablets, smartphones and the Internet accessed through them. What does a web developer do: Responsibility for the aesthetics and technical function of a web site rests with the web developer. The job duties include layout, graphics, integrating applications or links, and designing other visual components of the site. Meanwhile, back-end developers focus more on the framework and testing sites to ensure they work properly. What annual salary a web developer has: Web developers earn on a mean basis $74,110 per year. While ten percent of the developers make over $122,320. Continuing with the healthcare theme in our best paying jobs with associates degree is the dental hygienist. Nearly 300 programs, many of which reside in the community and technical colleges, tout accreditation from the American Dental Association. The strong opportunities for these jobs are evident from the predicted 20 percent increase in dental hygienist jobs by 2026. This translates to 40,900 new positions by that time. What does a dental hygienist do: To clean teeth, dental hygienists remove plaque, tartar, and stains from teeth. They scrap teeth, floss, polish and have patients rinse teeth. The job description also includes taking x-rays, reporting results and observations to the dentists, and teaching patients about good dental habits. What annual salary a dental hygienist has: The mean salary of $74,680 each year and 90th percentile figure of $101,330 makes this a strong candidate as one of the best paying jobs with associates degree. Many well-paying health care jobs come from an associate’s degree, one such job is the respiratory therapist job. Both earnings and job openings may abound for those pursuing these therapists positions. The U.S. Bureau of Labor Statistics projects 30,500 new jobs, or a 23 percent climb, by 2026 due to an aging population that may suffer cardiopulmonary conditions. What does a respiratory therapist do: The job description for respiratory therapists include examining, evaluating and educating patients with breathing difficulties. Testing measures lung capacity and levels of oxygen and carbon dioxide. Therapists treat using ventilators to increase oxygen levels and physiotherapist to remove mucus that may obstruct lungs. What annual salary a respiratory therapist has: The U.S. Bureau of Labor Statistics places the median annual pay at $61,810. The highest paid ones can fetch more than $83,030. Despite the projected growth of two percent for these workers, electrical and electronics engineering technicians appear on this list because of the pay. The job decrease comes primarily from decline within the federal government and plateauing within traditional manufacturing industries. The job outlook does prove better in the consumer electronics arena, such as with smartphone and GPS companies. What annual salary an electrical and electronics engineering technician has: The median pay for technicians stands at $64,290 per year. Meanwhile, the top ten percent of earners enjoy pay above $93,810. Aerospace engineering and operations technician jobs make the list of best paying jobs with associates degree because of the specialized knowledge required to perform it. Those seeking work in the civilian sector may find increased opportunities from government de-emphasis on space travel and more demand for innovation in aircraft. What does an aerospace engineering and operations technician do: These technicians aim to prevent failures that can result in catastrophic aircraft incidents by assisting in tests of aircraft and aerospace parts. This includes calibrating wind tunnels and other testing equipment, manufacturing and installing tested parts, and determining why they malfunction. What annual salary an aerospace engineering and operations technician has: The U.S. Bureau of Labor Statistics reports a mean pay of $71,340. While those in the 90th percentile earn $102,960. A heightened reliance on imaging for diagnosis props the job demand for nuclear medicine technologists. Projected job growth should run at ten percent through 2026, However, as a small occupation relative to other fields, this represents 2,000 new positions. What does a nuclear medicine technologist do: Drugs not only treat conditions, but they also aid the process of imaging. Preparation and administration of these medications constitute the essential functions of a nuclear medicine technologist. These workers also operate imaging equipment and may detect radiation and monitor those affected by radiation leaks or exposures. What annual salary a nuclear medicine technologist has: For nuclear medicine technologists, the median annual pay rests at $77,660. While pay at the 90th percentile stage runs at $103,660. Registered nurses can qualify with an associates degree in nursing (ADN), though the path to positions in hospitals, teaching or supervision may necessitate a bachelor’s degree or even a master’s degree. The registered nurse appears as one of the best paying jobs with associates degree because those with an associates degree can enter the field and improve prospects with experience and education at the bachelor’s or master’s level. What does a registered nurse do: To provide patient care, registered nurses observe patients, record their vital signs, establish care plans, use medical equipment and give patients’ medicines. Their tasks also consist of supporting patients’ families and educating patients about their conditions, recovery, and self-care. What annual salary a registered nurse has: The median pay is at $73,550 for registered nurses, according to the U.S. Bureau of Labor Statistics. Meanwhile, the highest earners can garner more than $104,100 per year. Among our best paying jobs with associates degree, the nuclear technician field offers the smallest job growth in percentage terms, at only one percent through 2026. Nuclear power plants face competition from both traditional and especially renewable sources of energy, such as solar and wind. Moreover, the absence of new construction of nuclear power facilities results in fewer job openings. What does a nuclear technician do: Nuclear power technicians operate and monitor the equipment and controls of nuclear plants. Those technicians in plant operations concentrate on radiation levels to find potential issues with the efficient performance of the plant. On the radiation protection side, nuclear technicians monitor levels to determine potential hazards to power plant employees and those in the surrounding communities. What annual salary a nuclear technician has: Nuclear technicians fetch on a mean basis $80,000 every year. Meanwhile, the top one-tenth of technicians, by pay, earn north of $112,390. Air traffic controllers are the only associate’s degree holders in our best paying jobs with associates degree roster eclipsing six figures. The high pay combined with slow job growth due to technological advances renders the air traffic controller field highly competitive. Satellite-based systems hold the promise of allowing a single controller to handle more aircraft. As a result, airports may require fewer air traffic controllers. What does an air traffic controller do: Air traffic controllers direct the movement of aircraft in the air and on the ground. They instruct pilots on when to land or depart and control their routes in the air. Pilots rely on controllers to report weather conditions and events that may impact the ability to land or fly. To perform these tasks, air traffic controllers must employ computers and radar. What annual salary an air traffic controller has: Air traffic controller in the upper end of the pay scale can fetch more than $175,800 per year. While the median yearly salary stands at $120,260. Cancer treatments and research receive considerable attention and effort in the medical field. The U.S. Bureau of Labor Statistics states that employment of radiation therapists, who aid in cancer treatment, should increase by 13 percent through 2026. With 19,100 radiation therapists in the United States as of 2016, that percentage raise translates to 2,400 new positions. What does a radiation therapist do: Assisting with cancer radiation treatment constitutes the principal task of a radiation therapist. The role involves operating equipment, locating the specific place in the body to apply the radiation, monitor the patient for potential side effects, record the procedure details and results and educate patients about radiation treatment. What annual salary a radiation therapist has: A radiation therapist can expect a mean salary of $85,190 per year. Meanwhile, the pay for a radiation therapist in the 90th percentile climbs to at least $123,020. Basically, these best paying jobs with associates degree represent the medical, energy and technology fields. Technological advances may spur increased hiring of many of these workers. In some cases, though, technology might reduce some of the need for human workers. With salaries, many of which exceed $70,000 per year, these jobs make the community college experience worthwhile.